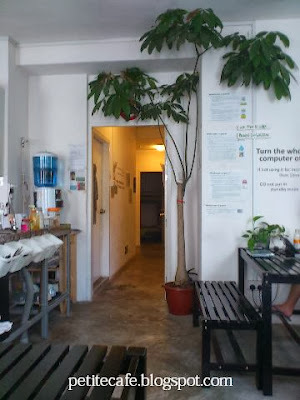 As a Eco-friendly backpacker hostel, Tree In Lodge is probably the only few that switch off the air-conditioning in the rooms during the afternoon. The practice does make sense because most guests will be out exploring the city and will not be in the room during daytime. 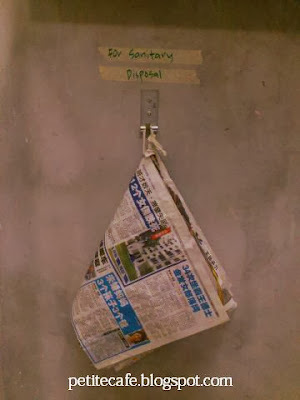 Thus, it helps save energy. If you choose to stay in, either to use the free laptop and wifi at the lounge, or to just sit and read, there are ceiling fans to cool you down at the area. I found out about this place from the Net. I was intrigued so I chose to stay here when I went to see Snow Patrol in Singapore. It turned out to be fantastic, both the hostel and the gig. The photo above show the reception and the pantry area where guests can grab their toast, coffee and tea during breakfast. Filtered water is provided to encourage guests to refill water instead of buying bottled water. I didn't pre-booked but just walked in and asked about the availability. My first choice was an all-female dorm but on that day it was almost fully booked. 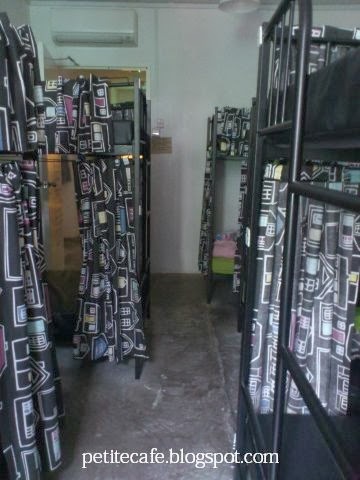 The person at the reception asked if I would mind the mixed dorm as it'll be less crowded and more comfortable - what a thoughtful suggestion, I thought. So I chose to stay at the mixed dorm. 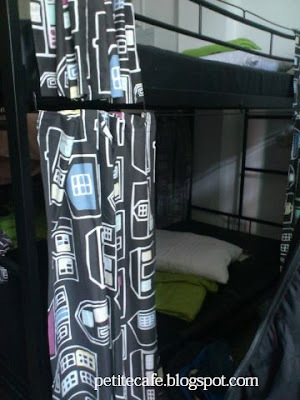 I love the curtains that are attached on the bed, provided for privacy purpose. New clean bed sheet is provided during check-in. The woman-only bathroom is auto locked with an extra key that is only given to female guests so safety is assured. 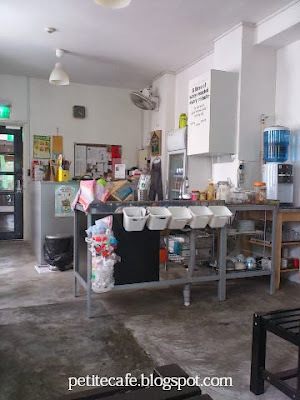 It was clean and tidy, just like the rest of the hostel. The hostel also has a 3R (Reduce, Reuse, Recycle) corner where guests can drop off unwanted items that can be re-used or recycle. I like this place. It takes determination and dedication to implement the green practices (particularly the no air-con in the afternoon) but I'm glad to see the owners making efforts toward something they believe in. They deserved all the good reviews at Trip Advisor. Well done!